"THE CLOCK TICKS BUT THE TIME STANDS STILL"
Hello Happy New Year etc you're looking a little heavier than last time we saw you but then so are we and let's just not talk about it, okay? 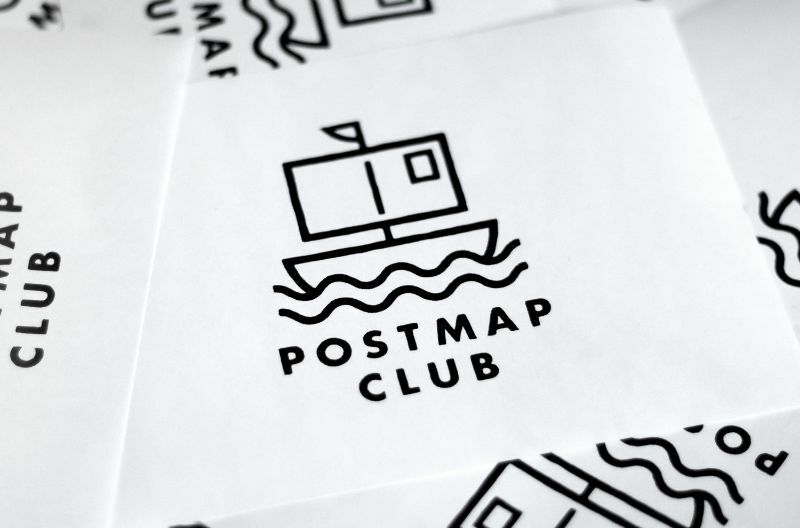 Instead let's talk about the brand new Lost Map PostMap Club. From the unsophisticated blunt-force weapon of choice among cavemen to the modern day popular foil-wrapped snack biscuit and the tropical paradise into which George Michael and Andrew Ridgeley in 1983 invited everyone for sunshine, free drinks and maybe more, humankind has a long and rich history of "clubs" of different kinds, and it's somewhere into this proud lineage which the PostMap Club neatly slots. The benefits of joining are frankly too many to mention but we'll do some bullet-point lists anyway, because they're always fun. There are two different membership tiers, and we strongly suggest that you consider the latter, premium membership for reasons which will quickly become clear. Supposing a Regular Brew member and a Gold Blend member were both dangling off a cliff by their fingertips and we only had time to pull one of them to safety... it would be the Gold Blend member every time. Can you afford to take the risk? Be a sport, join our club! Be it getting bounced around in the back of a pick-up truck over precarious farm tracks, shitting your guts out in a bush every morning, or falling drunkenly down a ravine in the dead of night perhaps never to be seen again, there are various joys of Lost Map's legendary Howlin' Fling festival on the isle of Eigg which cannot be recreated on the mainland. The feelgood vibes and great musics on the other hand are fully portable and transferable to civilized society, thus: Howlin' Fling in miniature as part of Burns and Beyond's Culture Trail event at a secret location in Edinburgh on Saturday, January 26. 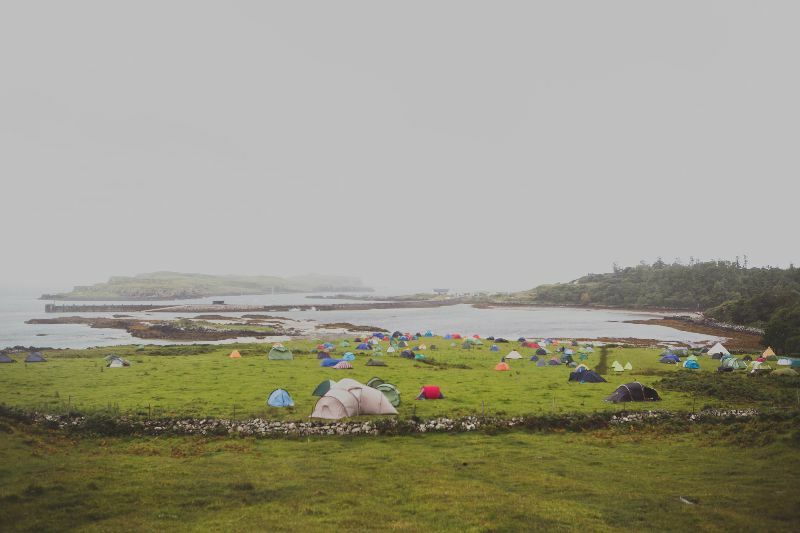 Lost Map boss and Eigg dweller Pictish Trail will curate a recreation of yon biennial bash, transforming an unspecified venue into Eigg’s legendary ceilidh hall, for an evening of sonic exploration and Highland hospitality. 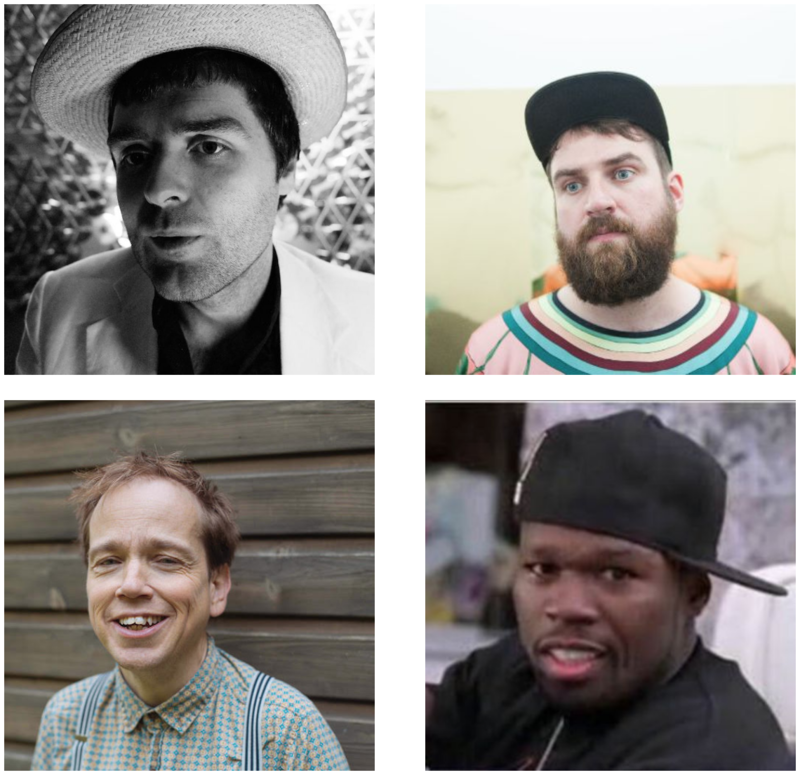 Music will come from Pictish Trail, Alabaster dePlume and Callum Easter, plus special guests. For those of you in the market for the full pick-up truck/bush shitting/ravine fall experience, know this: Lost Map's Howlin' Fling will return to Eigg this year, and sooner than you think. If you read the entirety of this long and fascinating article by Pictish Trail for Clash titled How To Start Your Own (Micro) Festival, then at the very end you'll discover an exciting little reveal about #howlinfling2019. If you don't like reading or just can't be bothered then basically what it says is that we will be announcing this year's festival on Monday, January 14 – including details about when and how you can go about buying tickets. 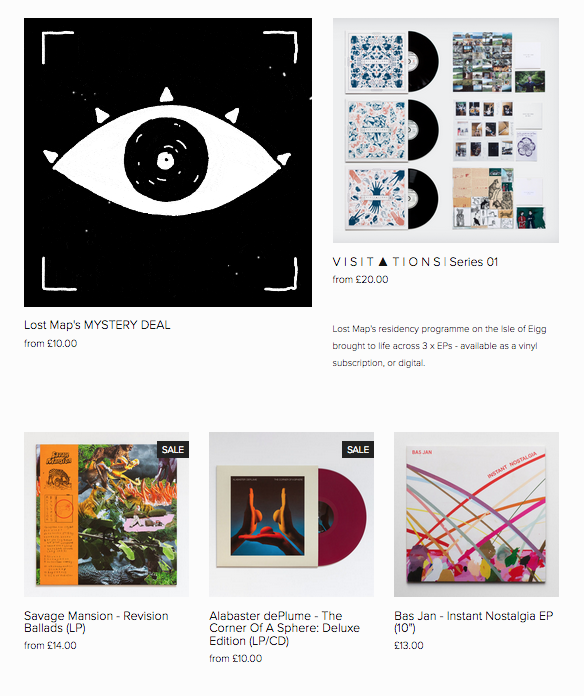 Clues just between you and us: go to the above-mentioned Edinburgh event and/or, sign-up for a V I S I T ▲ T I O N S subscription if you want a chance to beat the rush. "You can find me in the club," sang brick shithouse rapper 50 Cent in his popular song about being in a club, 'In Da Club'. "Come give me a hug," he also sang, showing his little-recognised sensitive side. Sadly for ol' Fiddy, he'd be left crying all the way home if he tried to get into Underachievers' Club at the Glad Café in Glasgow on Saturday, January 19, a brand new all-dayer launching as part of Celtic Connections, established by Craig Angus AKA Savage Mansion and his pal Siobhain Ma from the band Happy Spendy to welcome not overachieving gangster rappers but the waifs and strays and underground heroes of the DIY scene in Glasgow and beyond. You're just going to have to go quaff bubbly, smoke drug joints and rub yourself against young women elsewhere, 50, because it's not your night tonight, son. 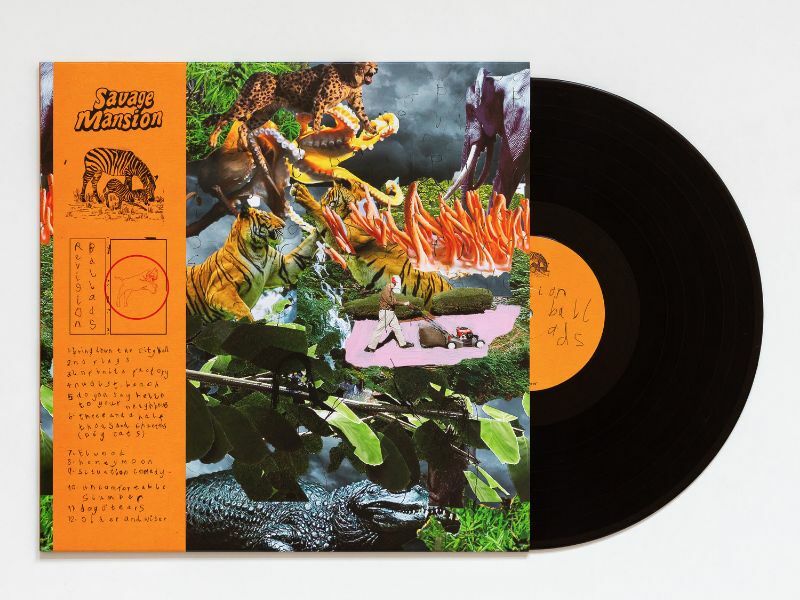 It's all happening just in time to help welcome Savage Mansion's irresistible debut album Revision Ballads into the world from February 15 (pre-order now on vinyl at the low-low Price of £14). Loud, loose and endlessly entertaining, it's solid proof as to why they're one of the best new bands around, not to mention the heart and the soul and the kick-in-the-arse call to action every self-respecting DIY scene needs. Get a sneak preview of new songs in da Underachievers' Club, tickets are on sale now. Hugging optional. If the new version of London and Manchester based spoken word artist, writer and saxophonist Angus Fair bairn AKA Alabaster dePlume's album The Corner of a Sphere were a car, then it'd be a really sporty roadster with a high-end stereo, electric windows, comfortable seats and jumbo cup holders. Right yes fine we don't know a great deal about deluxe cars, but we do know a thing or two about deluxe vinyl records, which is why we've gotten this disarming and totally life-affirming meld of richly evocative poetry, singing, sweet soft music and deadpan comedy – which sold out in its original run last spring – pressed again on hot red wax, packaged with an exclusive brand new bonus album titled If In Doubt Yes – a collection of live recordings, new material and remixes. It's available to take out for a spin from February 1, 2019, and you can pare-order it now. The following day, Saturday, February 2, Alabaster dePlume will perform his biggest headline show to date at the Hangar venue in London Fields in London – tickets for that are on sale now. 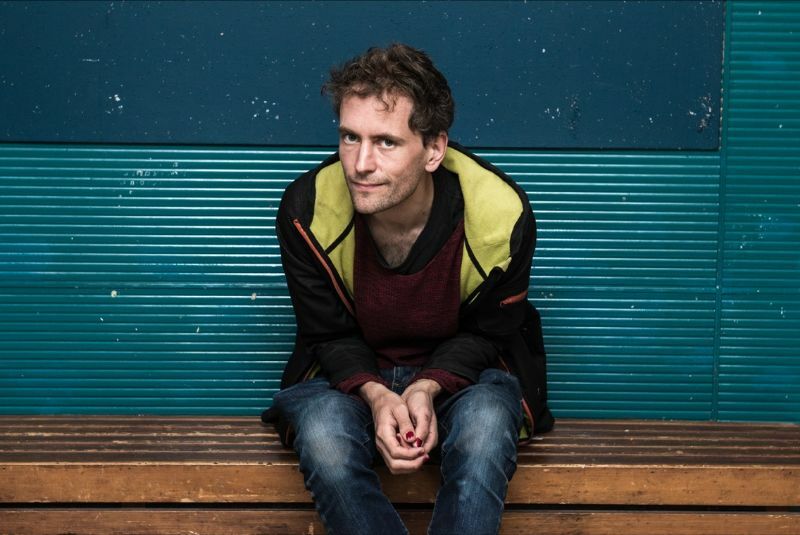 Gus will present the biggest-ever edition of PEACH, his finely-honed night of thought-provoking words and improvised music, formerly hosted at Total Refreshment Centre – an unpredictable and always moving and inspiring live spectacle which has to be experienced to be believed. That it's a motherf***ing G-I-G, um, G"